Conversations about conflict may be hard, but they aren't impossible. You may have heard the statistic that only 7% of what you communicate is in your words. The rest is made up of body language and tone of voice. In order to be heard and understood in relationship fights, we need to keep calm, actively listen, and respond mindfully rather than just reacting. Before you address a hot button issue, take a moment to yourself. Reciprocate to your partner as well; don’t jump to conclusions if they need some time to respond. It doesn’t mean they’re avoiding or lying; we all process differently. Take a deep breath and speak in a nurturing rather than aggressive manner. Communicate your goal for the conversation (“I’d like for us to be able to get on the same page and understand each other about ___”) to establish something you can both agree on. If things get heated, understand that defensiveness is a sign of pain or fear. Let your partner know that their words hurt. If you must take a break to cool down, set a short time limit to consider your feelings, their feelings, and what kind of message you want your partner to receive. Especially during confrontation, your attention and body language matter. Try to keep your arms and legs uncrossed with your body facing toward your partner, communicating openness and receptiveness. Maintain a gentle but direct eye contact. Mind your expressions – smile when appropriate, portray concern as needed, and avoid rolling your eyes if you become exasperated. Offer comfort to a distressed partner through a light touch or even a hug. Relationship fights escalate when each person does not feel heard. Allow your partner to finish their thoughts before stating your own; don’t interrupt them with defensiveness or counter arguments. Expect that they will do the same for you, and if they don’t, let them know (“I would appreciate it if you let me finish this thought. I’ve been listening carefully to what you’ve been saying and I’d like to be heard, too”). Choose your words carefully. When talking about your partner’s behaviors, use language that reflects how you perceived the situation and how it made you feel. Judgmental or absolute language (“You always think that I’m doing things wrong.”) is like dry tinder for relationship fights. Keep your body language, tone of voice, and overall message in mind as you speak. Saying “That’s fine” through gritted teeth and a tensed back shows very clearly that it is not fine. Remember to let them know what you are feeling, too. 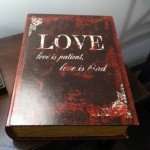 This is a great time to talk about both of your needs, desires, frustrations, insecurities, and anxieties on the topic. You want this to be an open dialogue, not a one-way “you talk and I’ll listen”. Keep the conversation relevant – don’t bring up irrelevant things from the past. For example, if you’re talking about financial stress, don’t bring up family issues. Relationship fights are made worse by losing direction so keep the focus on your original goal. Resolving conflict takes time, but it is important that you and your conversation partner are able to have open dialogues about your feelings. Relationship fights are normal and nobody is perfect at handling conflict, but learning how to articulate your feelings as well as how to hear and adapt to your partner’s feelings are essential to a healthy, lasting relationship. 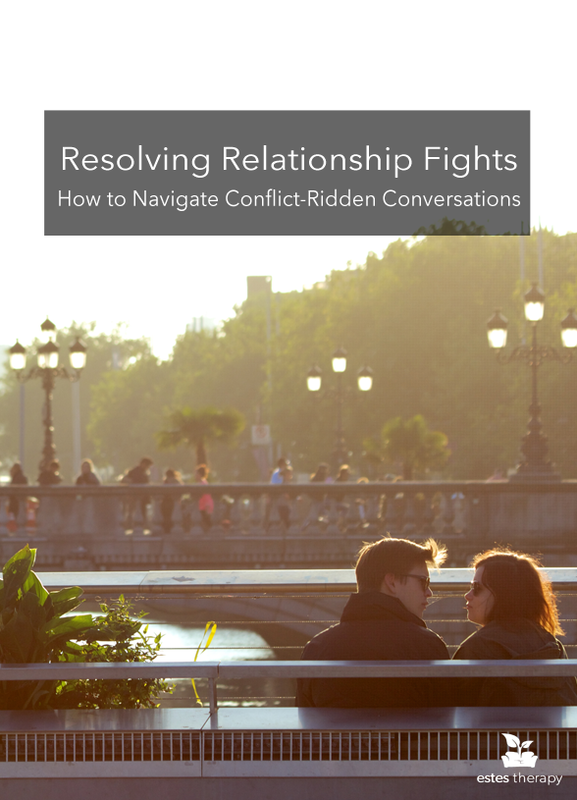 The conversation will be uncomfortable — conflict always is — but mindfully expressing the feelings behind the conflict reinforces the safe and healthy connection in your relationship. If you and your partner find yourselves going around and around and unable to implement the above strategies, call in reinforcements! Estes Therapy is here so that you can learn to address conflict in a healthy way. Book an appointment here.